Get the Scoop on the Weruva® Cat Litter, It's a #CatTeaPotty! Disclosure: Thank you to Weruva for sponsoring this content. I received product and compensation in order to facilitate this review. All thoughts and opinions expressed below are my own. For more information, please refer to the disclosure that can be found at the bottom of this post. 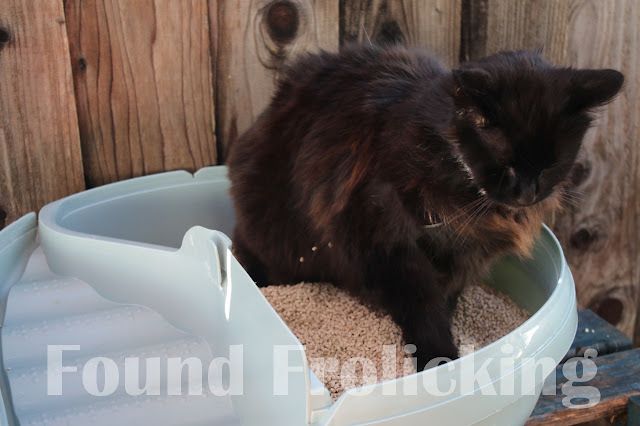 Cat litter is one of those things that a lot of pet owners don't put a lot of thought into. After all, it's something your feline companions use as a potty! What's to think about? It's just that simple... or is it? My first real experience with cats was when I was a teenager and my family adopted a cat within a few weeks of my birthday. With such a large family, my mother was worried the poor little thing would be loved to death because of how much attention she received on a daily basis. We were all equally fond of the little fur ball. So one cat became two cats, and two cats eventually became three. Our trio is now getting up there, at the ripe old ages of 11, 10, and 9. We first began researching alternatives to the common cat litter for several reasons: #1. The cats were tracking it everywhere, and I mean everywhere. #2. Cleanup was messy, with soiled clay gunk being difficult to scrape off of the bottom of our litter box completely. We were cleaning the box frequently, and yet it wasn't really getting clean. Which meant plenty of smelly odors were always clinging to the walls and floor of the litter box, maintaining a malodorous environment at all times. #3. As far as odor goes, it simply wasn't cutting it! Every time any one of the cat's used the litter box for some number two business, I could have sworn a nuclear waste occurrence requiring a hazmat suit for immediate and proper disposal was required. While we initially concluded the solution was simple and straightforward, it turned out to be something else in actual practice. We tried several different types of cat litter products, but we had a very hard time controlling odor, and so the search for the perfect cat litter continued. Over the years, I've tried a lot of litter products with a lot of cats as a foster parent for rescue felines, without every finding the glass slipper, so to speak. But one thing has become more and more clear over the years: that odor control wasn't the only issue surrounding clay-based litter products. More and more research on cat litter products reveal that the most typical of cat litters aren't exactly the best for our cats---or for us. 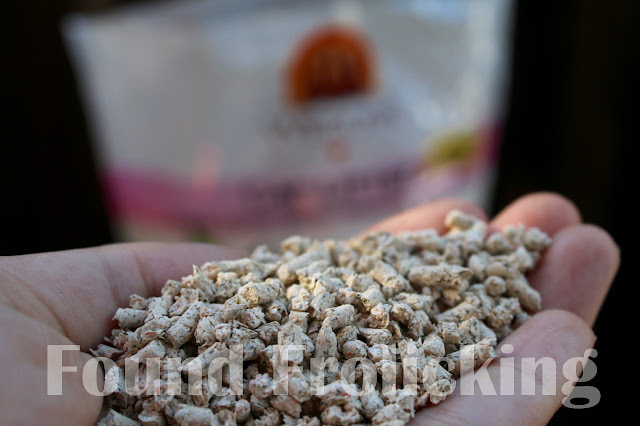 As the awareness increases, so do the options for clay cat litter alternatives for cats & kittens from a variety of sources such as recycled paper, pine, and even wheat. New from Weruva® comes a whole new type of cat litter! The Weruva Cat Litter is made with Hinoki wood and green tea. 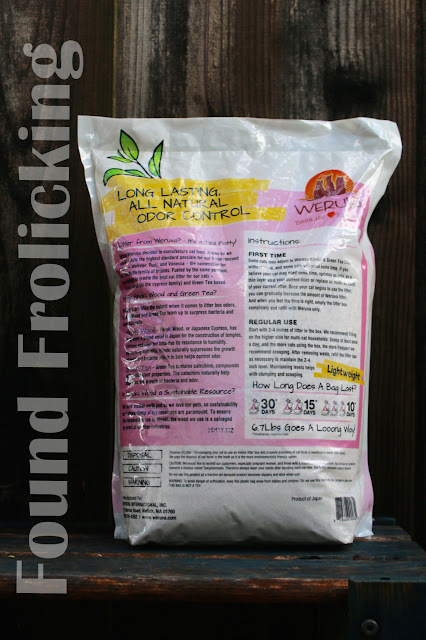 This natural cat litter is responsibly sourced, low dust, offers quick clumping, and provides excellent odor control. It is also free of common cat allergens! Weruva Cat Litter contains no corn or wheat, and is also free of clay and grains. Did you know that bacteria is a common cause for litter box odor? The Hinoki wood and green tea in this great litter product for your beloved felines work together to suppress bacteria and odor, naturally. Opening a bag of Weruva Cat Litter for the first time, I was surprised by its natural, earthy scent. A pleasant and welcome change from the chemical smell of clay litters I've used in the past. Despite being a wood-based litter, I did not see any way that the texture of the Hinoki wood pellets would be unpleasant for even the most dainty cat paws. 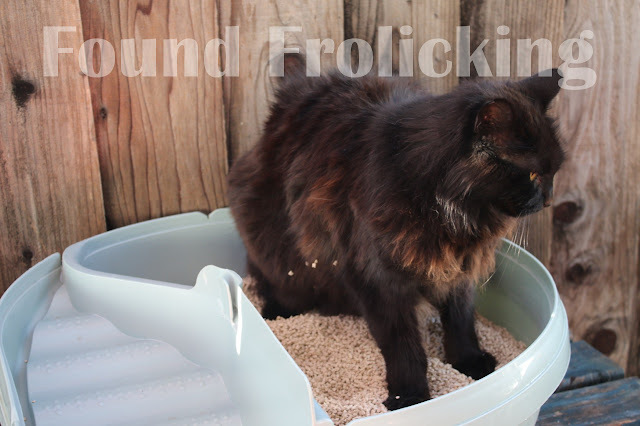 As many cat owners can surely attest, felines can be finicky and selective about their litter. So the true test was to see how our household animal companions would respond to the Weruva Cat Litter. Eager to try it with one of our pickiest residents, we decided to let Mylo have a go at it, our fussy feline who has refused to use many litter products we've tried to get him to use. After a few minutes of investigation, the litter received his stamp of approval! He even seemed to think it was comfy enough to sit in. The cat litter from Weruva was also accepted by our other cats, and is one of the few products we've tried that all of the cats will use! My family has been very pleased with the life of the Weruva Cat Litter. The 6.7 lb bag held up for 12 days, even being used by three cats! I'm over the moon about finding a sustainable cat litter that I can feel good about my cats using. So what are you waiting for? Your cats can join the tea potty! 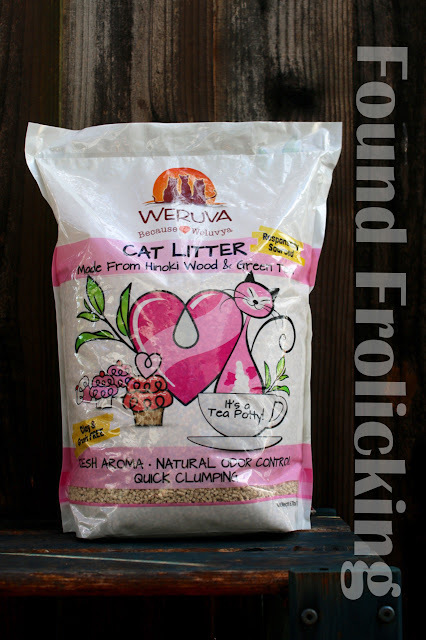 Order a bag today and discover the advantages of Weruva Cat Litter. Cat litter made with care: using responsibly sourced materials to create a superior cat litter. Weruva offers a whole new type of litter---even down to the texture! 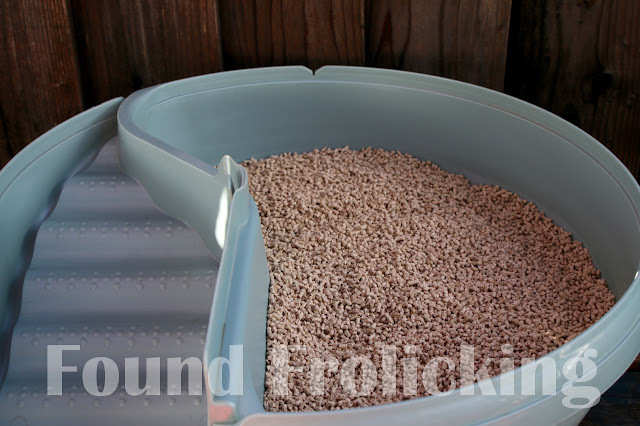 The 6.7 lb bag of Weruva Cat Litter was the perfect size to generously fill our large cat litter box. Mylo checks out the Weruva Cat Litter for the very first time. Mylo loves the Weruva Cat Litter so much he decides to hang out in it! This post is sponsored by Weruva and the BlogPaws® Pet Influencer Network. I am being compensated for helping create awareness around Weruva's brand new natural cat litter, but we only share information we feel is relevant to our readers. Weruva is not responsible for the content of this article. I have cat litter on the grocery list. Will definitely try this! Thanks for the great post! We are considering getting a cat for our home and this is one of the many things we need to think about. This will help in our decision making. My mother in law has 2 cats. I will definitley tell her about this. I have been looking for a new litter. This sounds fantastic I will have to give it a try for sure. I have not tried this litter but will be checking it out. Thanks for sharing! The cat looks like he needs privacy. A good litter is a must. They look so elegant whenever they use the litter ehehe, Maybe my little Olaf will give a try =). I have never owned a cat so I don't know what it's like! But I've had a dog and it's definitely no easy task to clean up after them. It's good to know that cat owners have an option like this, I think this would ease their worries when it comes to odors and the like. Shiv Blogs- The cat looks really cut and this is very useful info! At the moment I don't have a cat, but will remember it next time a little cutie ends up coming home with me. I wish that my cat would find a cat litter that my cats love. My cat would literally pooped at our bathroom. Oh wow, this looks like a really interesting cat litter! I love that its natural! I've really wanted to try this, but my cats are stubborn. I wonder if they would be willing to use a new litter? I like the natural idea so much better. I've never heard of Weruva cat litter before but I've used similar kinds in the past. We always use this bigger kind when our cat's paws are healing. I think it is great that this litter smells more natural than most liter options. I never heard this before. Thank you for sharing! Glad to know this. This looks like great cat litter. I have two cats that can get really stinky. I will have to give this a try. Sounds like a great smelling cat litter! This sounds like great litter. I'm going to have to get some. When I had cats many years ago there weren't a lot of alternatives. It wasn't until some start coming out that I realize how bad some cat litter really is. Such a cute litter. I don't have cats but I know someone who has a few. Will be sharing this info with my hubby's friend. wow, that is really neat! I would definitely try this product if ever I have a cat.Thanks for sharing! Thanks for sharing. I am always looking for great working pet products. I have never had a cat but I imagine a good cat litter makes all the difference so that your house does not smell! Oh this is awesome! I wish we have this in our country. Thanks for the review.